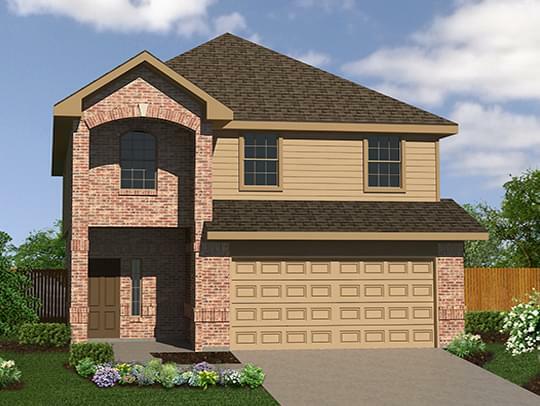 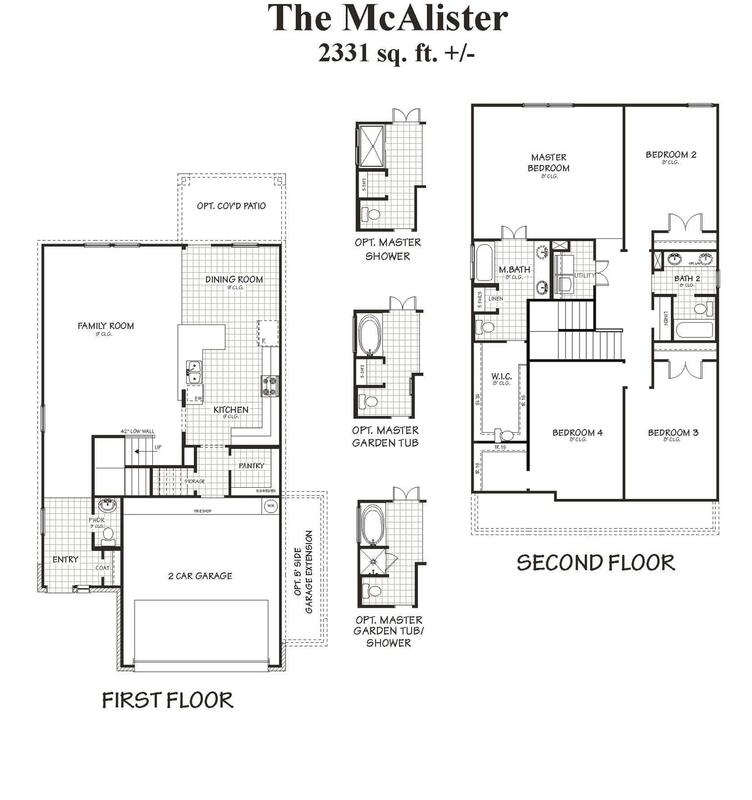 The McAlister floor plan features 4 bedrooms with a upstairs master suite, 2.5 bathrooms, and an dining area. 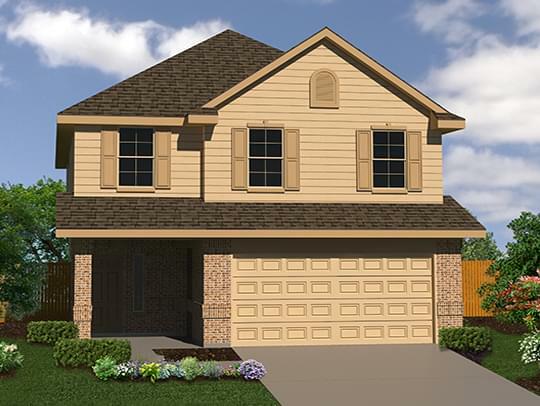 The relaxing master suite allows for an optional bay window and the choice to convert the tub to a garden tub, walk-in shower, or a garden tub/shower combination. 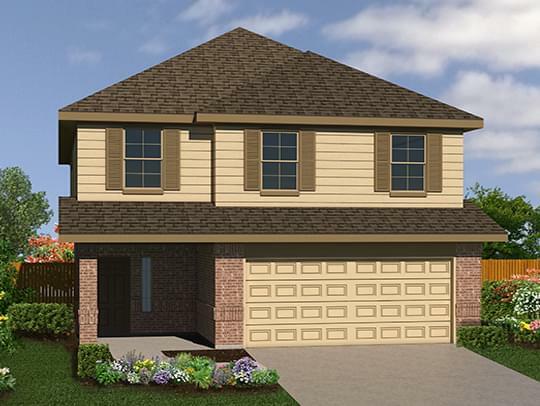 Families will love the convenience of the upstairs utility room.